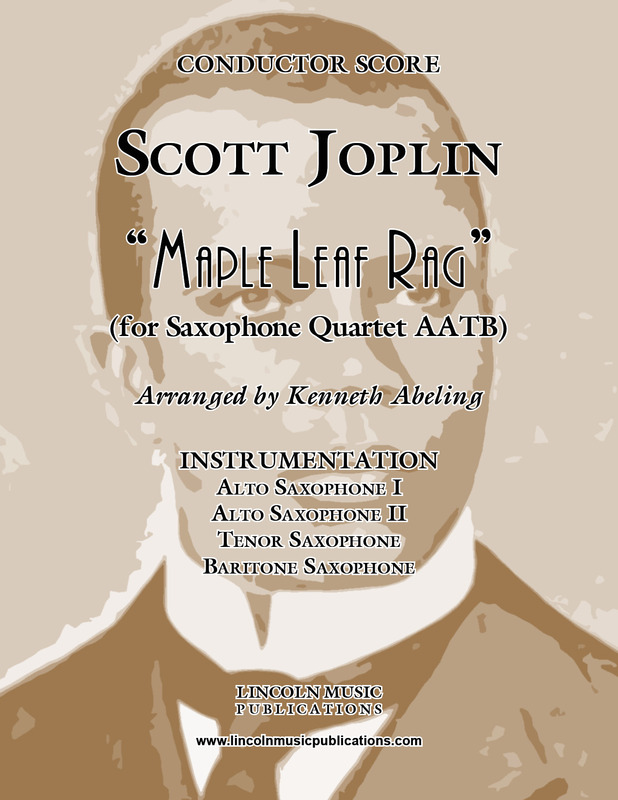 “Maple Leaf Rag”, transcribed here for Saxophone Quartet, is one of Scott Joplin's most popular rags. Audiences may recognize this melody from the Academy Award winning movie "The Sting". This is the AATB arrangement, a separate SATB arrangement is also available.